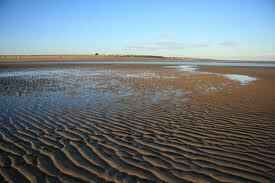 There were mixed results for Fingal in the Blue Flag awards. Skerries south and Donabate were awarded the Blue Flag for the first time since 1995 and 2007 respectively. Portrane and Portmarnock retained their Blue Flags this year bringing the Fingal total to four. Malahide beach lost out over safety concerns due to a permanent red flag flying during the summer warning people not to swim because of drowning dangers.Rush South in north Co Dublin was not awarded the flag because of non-compliance with water-quality criteria. Last year Fingal County Council said that bird droppings were responsible for Burrow Beach in Sutton, north Dublin, failing the standard for water quality. Could it be that the birds have now moved to Rush South? Improvements in water quality led to Dollymount regaining its Blue Flag after losing it in 2011 while my home town beach at Downings in Donegal received one for the first time since 1999. Well done to local TD Joe McHugh and Mayor of Donegal Noel McBride, both of whom live nearby, for their efforts to make this happen. 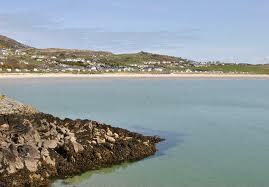 Donegal now has the highest number of Blue Flag beaches in the country with 13. The EPA publish water quality data updates which you can view here.